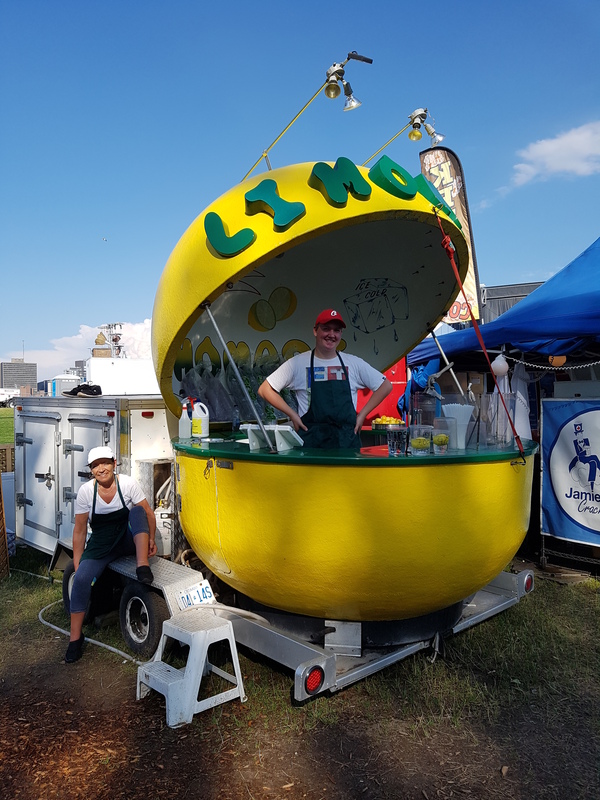 The weather was unbelievably hot and humid this past Wednesday in Ottawa with temperatures reaching 38°C with the humidex. But the heat and humidity didn’t stop the artists that were performing from giving it their all. I always start off my Bluesfest experience by touring the site and checking out what is going on. You never know what little gems you may find…like on a super hot day finding a lemonade stand. Another new booth that I discovered on Wednesday was the Schick Hotel. 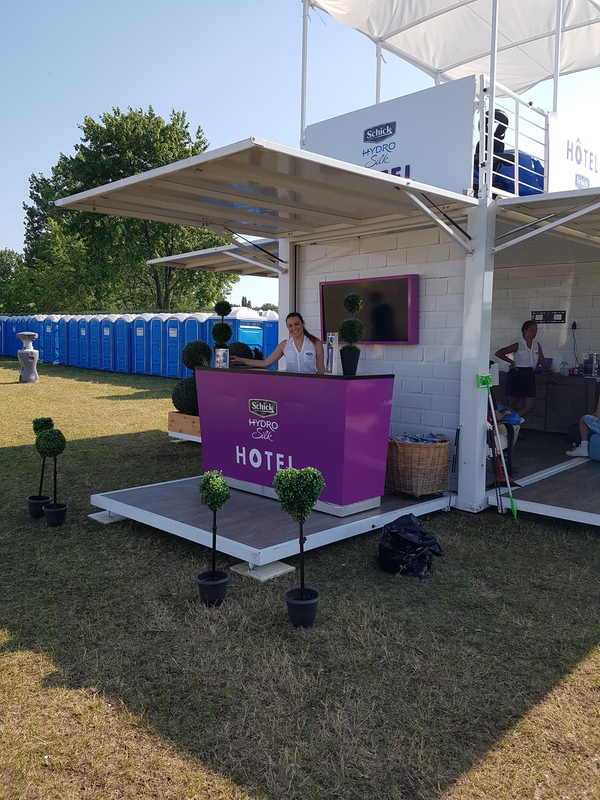 They had a great little set up with chairs, charging station for cell phones and on the roof a massage table. Unfortunately they were still setting up when I popped over to speak with them so I didn’t have the opportunity to get a massage, but I did end up with a free Schick razor. The beauty of Bluesfest is discovering artists and bands that you were not aware of previously. 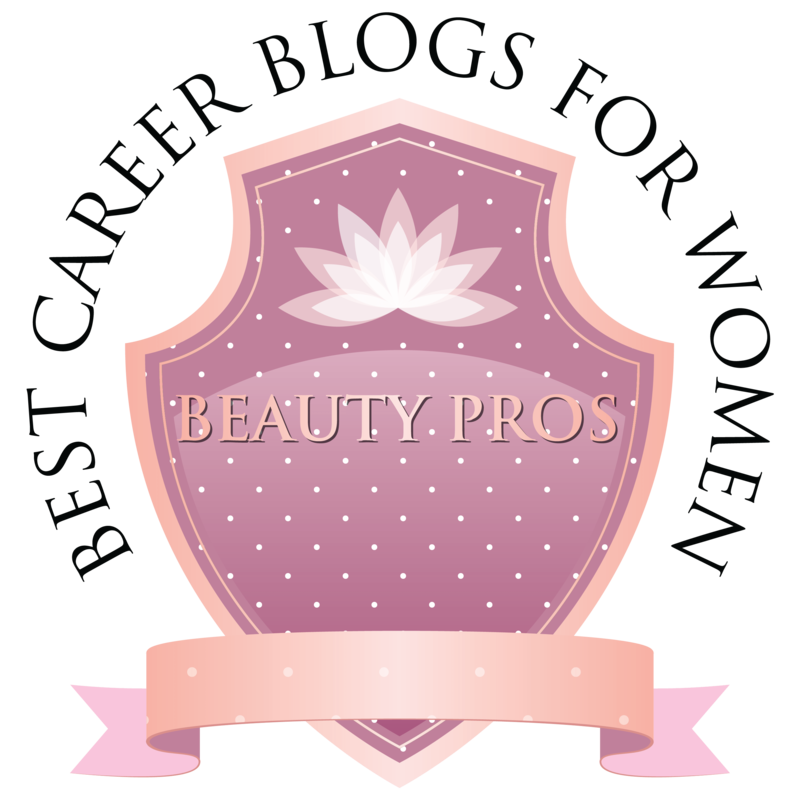 One such gem that I had the opportunity to discover was Kelly Prescott. 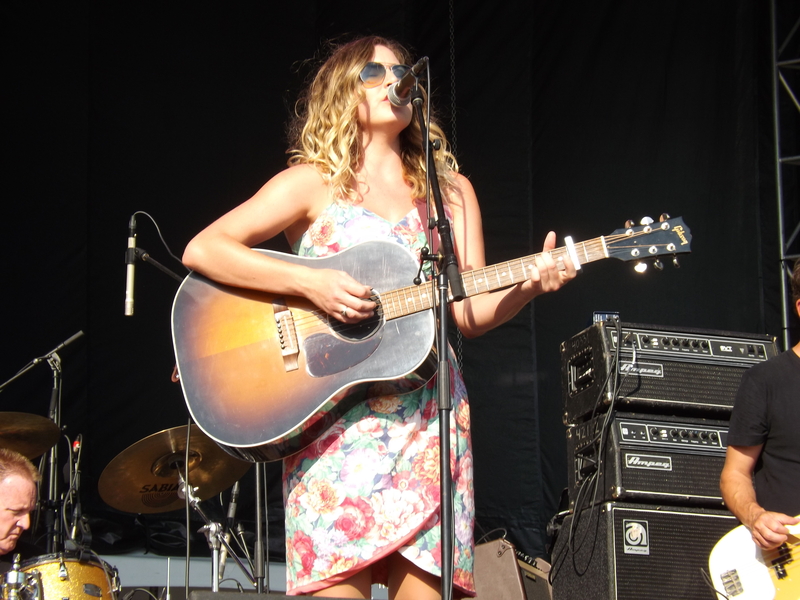 Kelly is a third generation Canadian country singer. 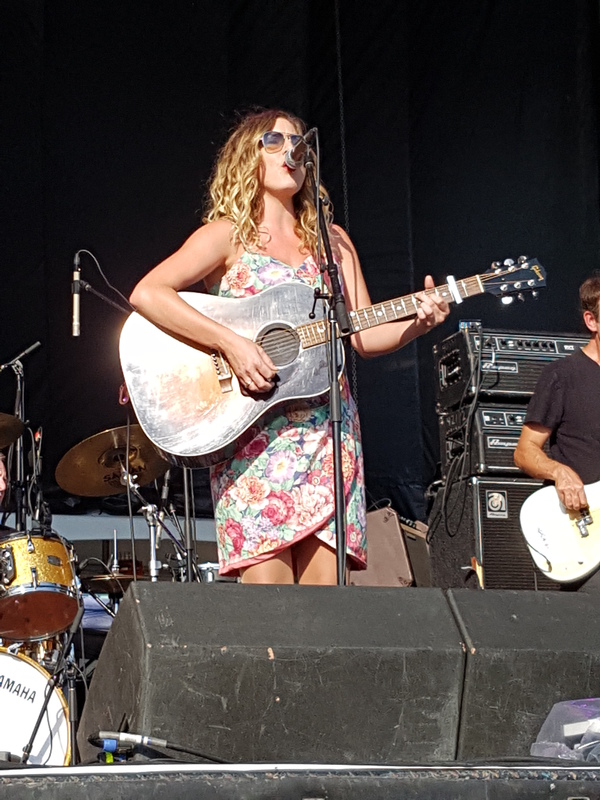 Bluesfest works hard to bring in and highlight local talent and Kelly Prescott was definitely a great choice!! She has such a beautiful country voice. I enjoyed her singing so much, that I recorded one song by her with my camera (see below), but I apologize in advance for the quality of video and the audio. My camera corrupted the file but I wanted to share it anyway because I think that Kelly is soooo talented! Despite the poor video / audio quality you can still hear how wonderful Kelly Prescott is. She has an album coming out soon called ‘Hillbilly Jewels’ and I will be keeping an eye out for it. 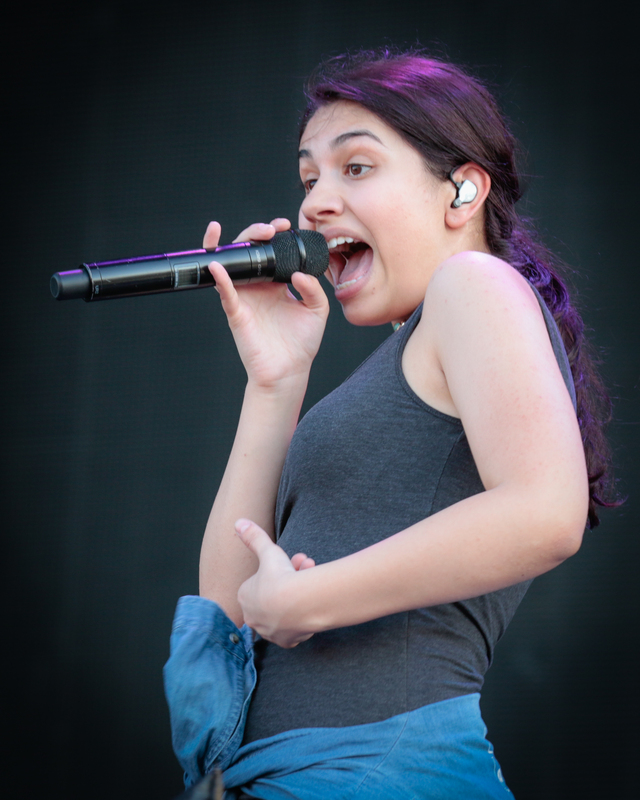 This was Alessia Cara’s Bluesfest festival debut. She recently finished a European tour where she was the opening act for Cold Play. Cara started things off with the song ‘I’m Yours’. She then went into her biggest single, ‘Wild Things’ and asked the audience to join in as well. Alessia Cara is from Brampton, Ontario and is only 20 years old. She was very appreciative of the crowd and all the love she received. Cara ended the show with her other big hit ‘Here’. Her show was fun, energetic and what you would expect from a young pop singer. 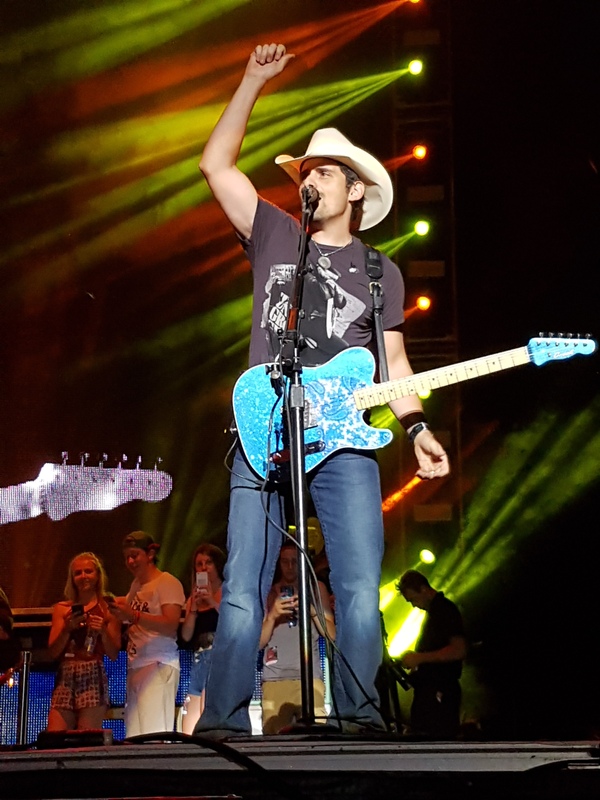 Brad Paisley was the headliner this past Wednesday night. I have wanted to see him perform live for years!! I missed the opportunity the last time that Paisley performed in Ottawa three years ago. 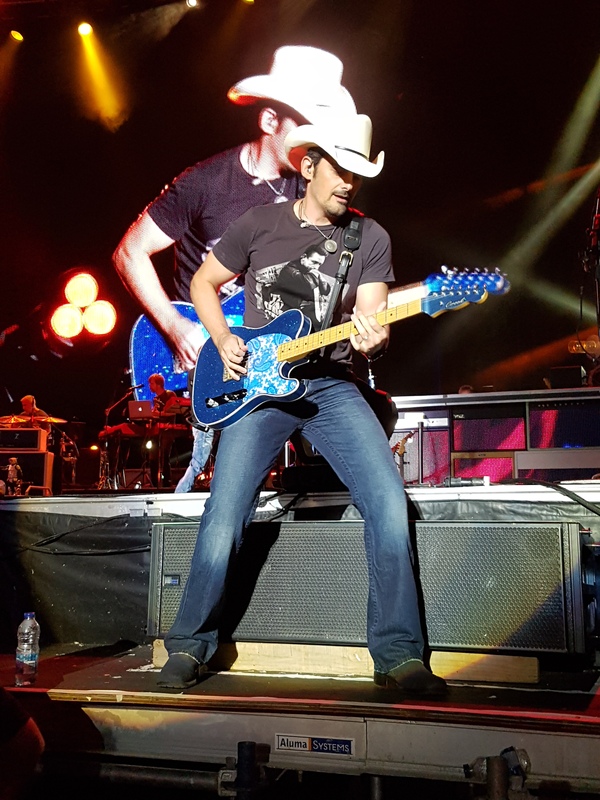 I love listening to all genres of music and Brad Paisley is my favorite country singer. 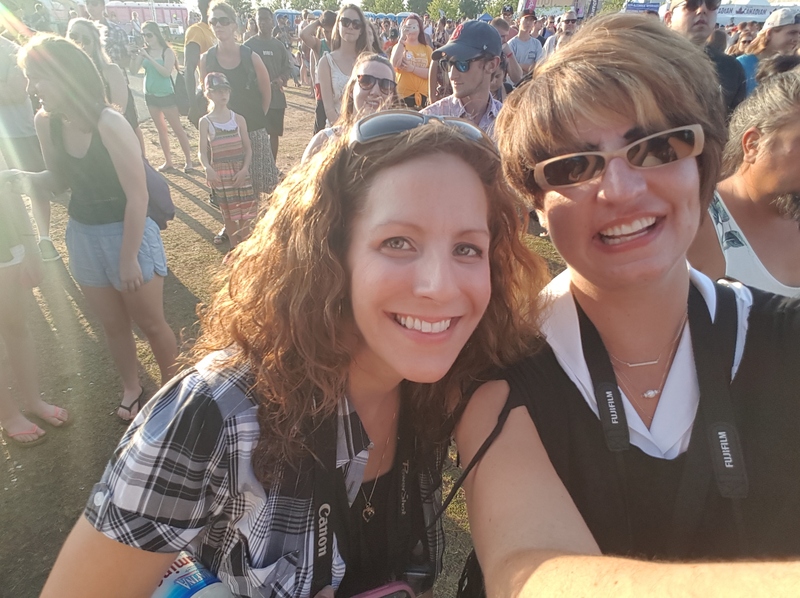 I dragged my friend along with me to Bluesfest and she had no clue who Brad Paisley was prior to this. 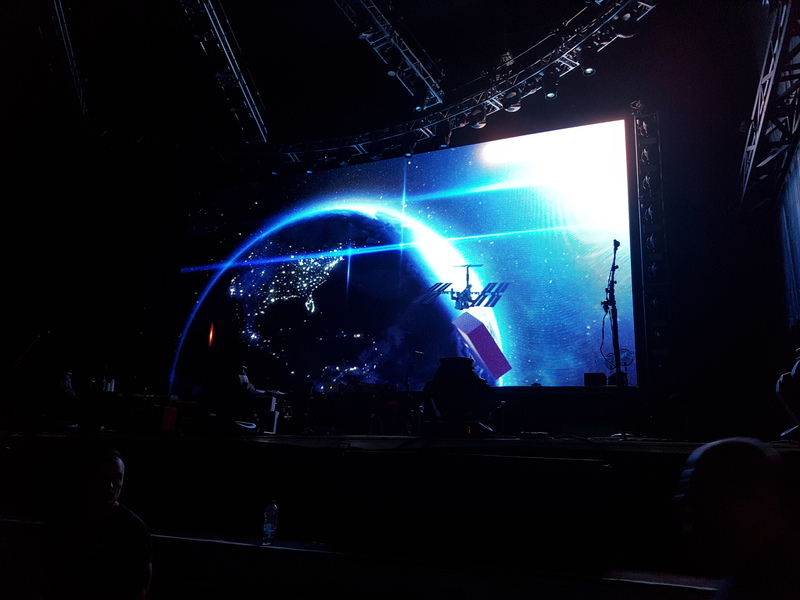 And to top it off I made her wait an hour and half in 38°C humidex weather so that I could be as close to the stage as possible, now that is the sign of a true friend. 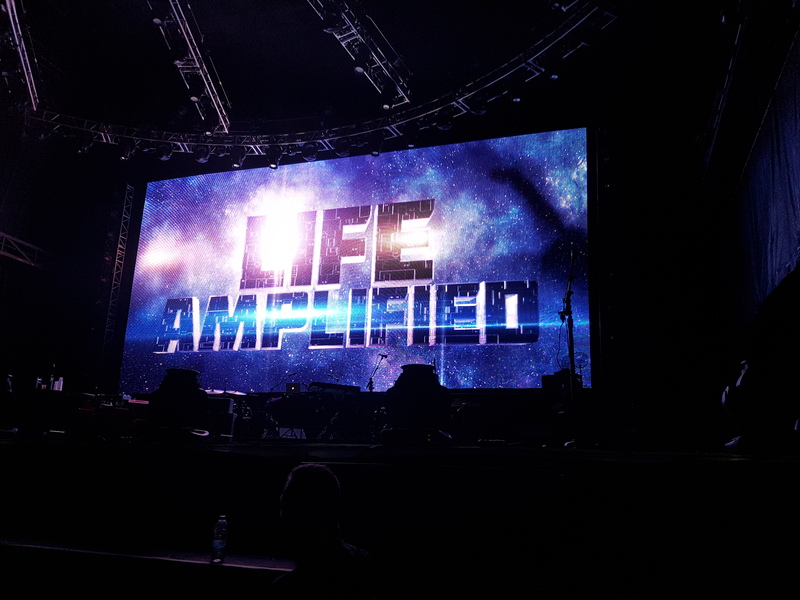 We were right against the barrier in front of the stage. A lot of Paisley fans lined up early to get as close as possible. With the heat and humidity the festival organizers were kind enough to take out a hose and shower all of us with water (which felt really good) and even handed out water bottles to keep us hydrated. After the hour and a half wait the show began. 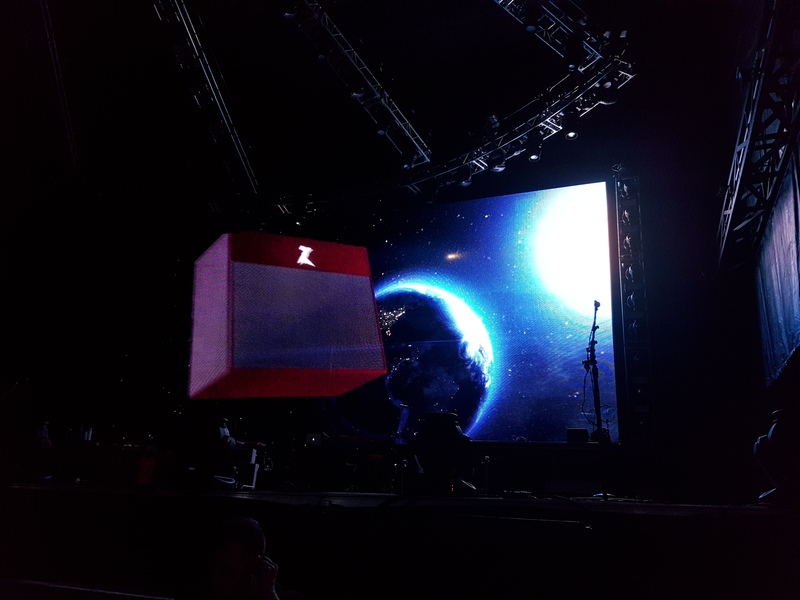 Paisley opened his Life Amplified show with a video montage that was a twist on the 2001: A Space Odyssey theme that ended with a comet crashing down on Earth. 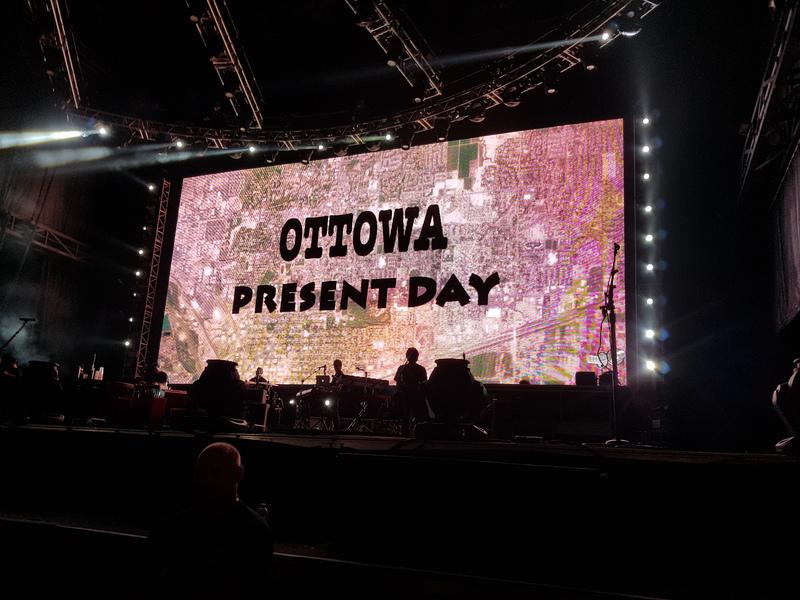 The words ‘Ottowa (sic) Present Day’ (not sure if the misspelling was a pun as Paisley is known for his sense of humor) was then projected across the screen, there was a blasting of strobe lights and then Paisley appeared on stage with his guitar. 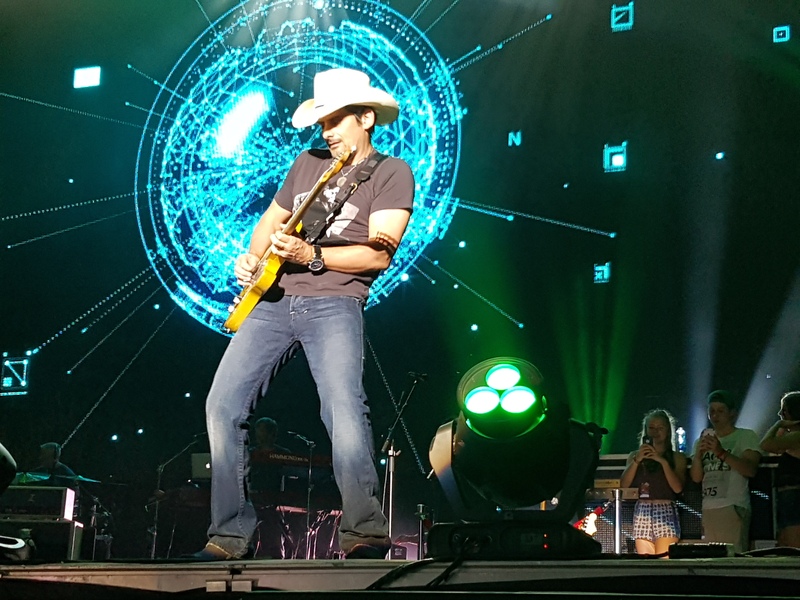 He opened the show with the song ‘Crushin It’. I think I ended up taking close to 300 photos during the show. It was great to hear some of Paisley’s older songs such as ‘Online’, ‘I’m Still A Guy’, ‘Celebrity’ and ‘Mud On The Tires’. I sang (well, more like yelled) along to every song. It was also a special evening for a couple who was brought out on onstage mid-set for a surprise marriage proposal. 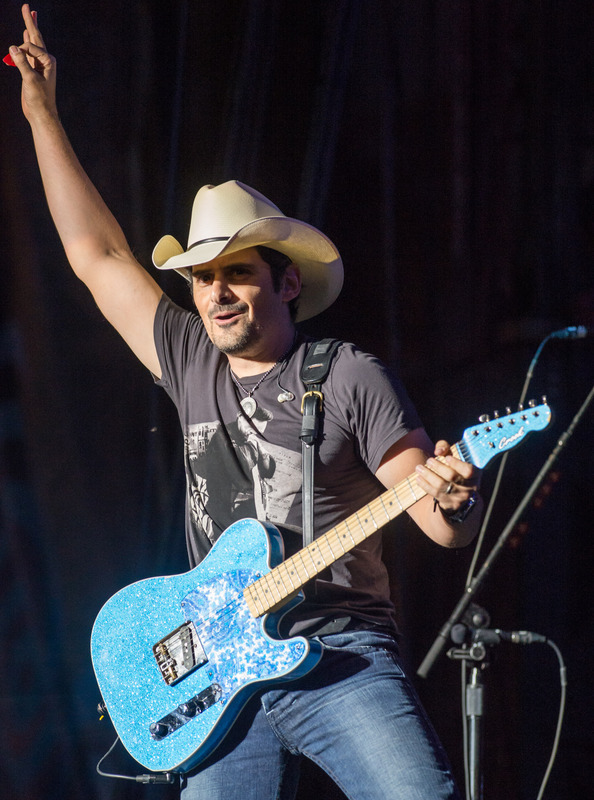 Brad Paisley played along with a serenade and she said ‘yes’ of course. I have never heard an audience cheer so loudly as when Erik Karlsson (Ottawa Senators captain) also made a surprise appearance on stage during the show. I managed to capture the whole thing on my cell phone. The video is a tad shaky (happens to me all the time). Paisley has a new album about to drop and did perform the duet with Demi Lovato called ‘Without A Fight’. Besides the songs it was amazing to see Paisley play guitar live. His concert lasted an hour and a half (15 minutes longer than scheduled). 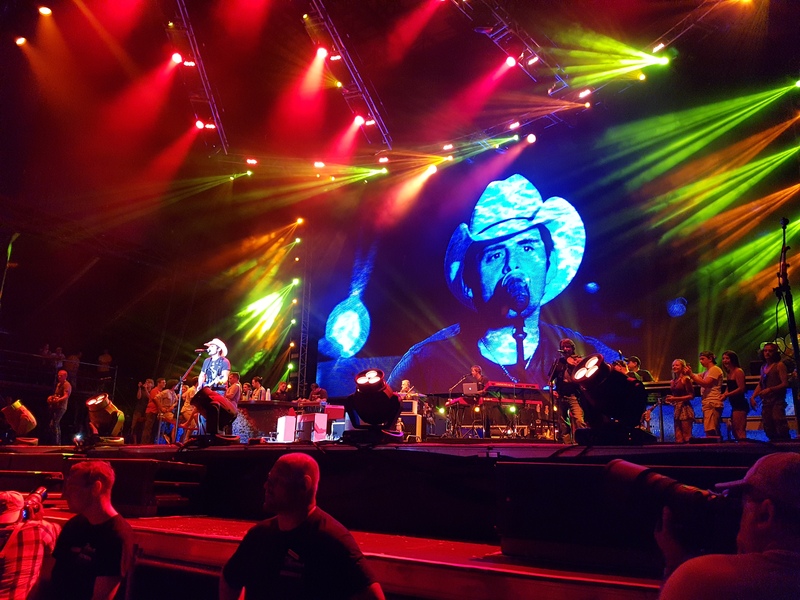 The energy from the crowd and Paisley’s showmanship made this one of the best concerts that I have ever seen! 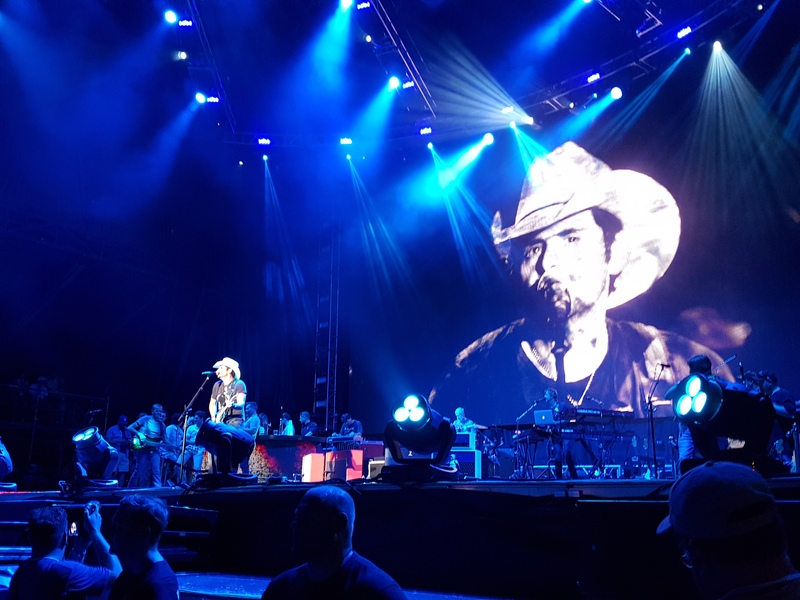 I have attended a good 20 or so concerts prior to Bluesfest. 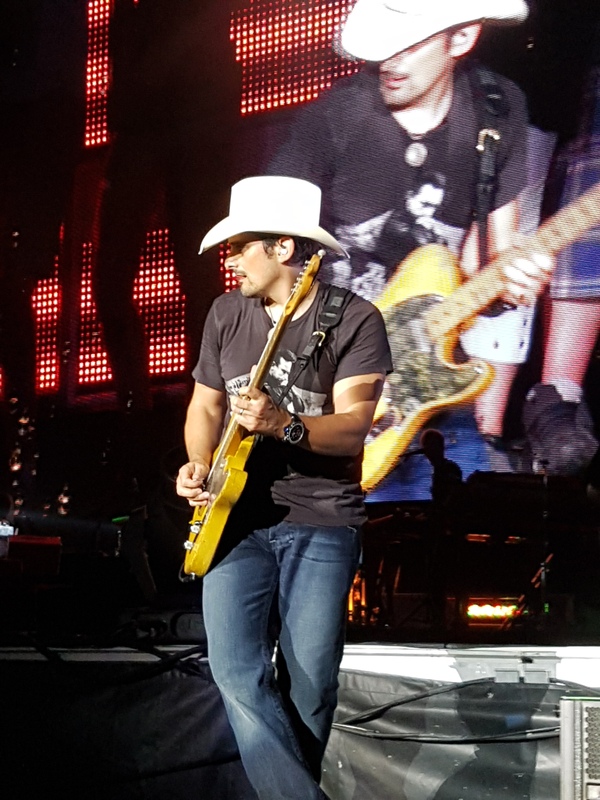 Brad Paisley is a very talented singer/song writer/guitarist; I am so thrilled that I finally got to see him live! Up next.. my last two nights at Bluesfest with Lindsay Ferguson, Coleman Hell, The Red Hot Chili Peppers, The Lionyls, Nelly and Duran Duran! 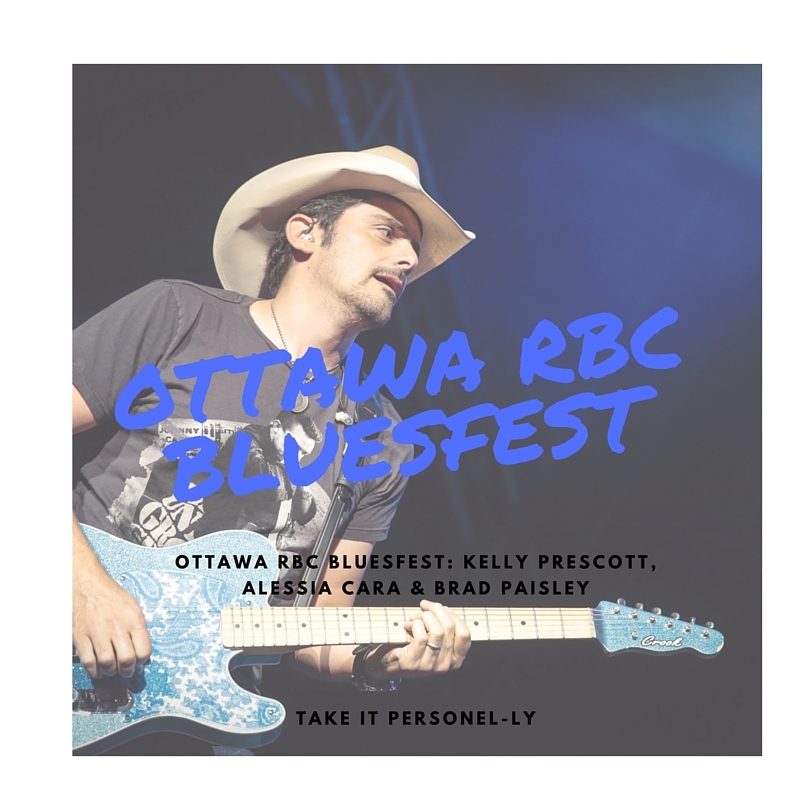 Next Ottawa RBC Bluesfest: Red Hot Chili Peppers, Duran Duran and More!